The Scottish independence debate has become more intense in recent weeks, with interventions by the British Chancellor George Osborne, President of the European Commission José Manuel Barroso, and the leaders of all three major parties in the British parliament . But what effect have these interventions had, and do they really matter with 6 months to go? Alan Renwick assesses some basic rules of referendum dynamics and tells us what we can expect from both sides as the vote draws closer. The Scottish referendum campaign has finally caught fire. After months of bland nothingness, the coordinated interventions of George Osborne, Ed Balls, Danny Alexander, and (most extraordinarily) Treasury mandarin Sir Nicholas Macpherson on the pound, followed by the comments of EU President José Manuel Barroso on Scotland’s future in Europe have transformed the terms of debate. The only noteworthy event in the campaign previously had been the publication of the SNP’s manifesto for Scotland, Scotland’s Future, in November. The No campaign had made no serious response and sniping about its effectiveness had been growing. The past week, by contrast, has taken us straight from phoney war to pitched battle. What should we make of this rapid turn of events? The commentators have been debating who is up and who is down. The next opinion polls are eagerly anticipated. But much of the comment slightly misses the point. What matters is not how the polls respond in the next week or two. The crucial issue is the impact on the votes cast in the referendum itself, six months from now. To predict anything about that, we need to know how opinion in referendum campaigns tends to behave. 1. Opinion during referendum campaigns tends to shift towards the status quo. As I have shown elsewhere, of 34 referendums in democracies since the 1980s for which the numbers are available, opinion shifted towards the status quo in the closing stages of the campaign in 23. Some shifts were enormous: three referendums have seen support for reform fall by 40 percentage points during the campaign; another seven have seen it fall by at least 20 percentage points. By contrast, support for change rose in only eleven cases, and most of these rises were tiny; only one exceeded 10 percentage points. The reason for this pattern is that voters are cautious. If they are unconvinced of the need for change, they tend to stick with what they know. Thus, the “don’t knows” in early polls tend to split towards the status quo as polling day approaches. Sometimes, Yes support falls directly too: the idea of change often sounds appealing on first blush, but as voters consider it more the doubts build and many voters switch. 2. There are two sorts of exception: reversion point reversal and the anti-establishment bandwagon. Nevertheless, the pattern is not universal: while two thirds of referendums see opinion move away from reform, that still leaves a third that do not. These exceptions belong to two main categories. The first category display “reversion point reversal”. The reversion point is the state of affairs that ensues in the event of a referendum No vote. At least on paper, that is almost always the status quo. In some referendums, however, Yes campaigners succeed in convincing voters that, actually, the status quo is no longer a viable option, and that only by embracing change will the essence of the status quo be preserved. That happened in four referendums on EU membership in Austria, Finland, Sweden, and Norway in 1994: EU supporters argued that, as Europe increasingly united under the EU flag, their own country would be isolated if it stayed out; only by going in would the good things in the present be maintained. Similarly Irish governments have twice persuaded voters to accept EU treaties they have previously rejected with the argument that a second No vote would endanger Ireland’s position in Europe. The second category exhibit not caution, but incaution: the emergence of an “anti-establishment bandwagon”. If the political elite unites behind one option, voters, if they are sufficiently disgruntled, may march the other way. If the elite are urging No, that can lead to a wave of support for Yes. The biggest such effect occurred in New Zealand in 1992, when voters ignored the advice of their despised political establishment and opted to back a change in the voting system. 3. In referendums as in the rest of life, heart precedes head. Interventions in a referendum campaign provoke heart reactions and head reactions: they stimulate our emotions and feelings; and they prompt reflection on what fits our principles and aspirations. But, just as in life in general, these reactions differ in their speed. The heart comes first. Only later does the head begin to take over. 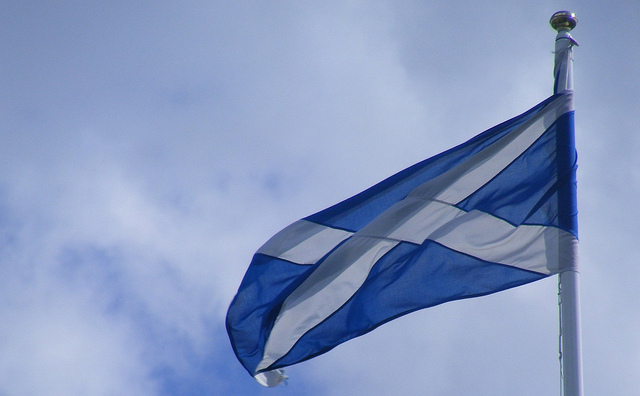 What do these general patterns tell us about current developments in Scotland? As is well known, the polls have long shown a substantial majority against independence. The general tendency for opinion to shift away from change as voting day approaches suggests that, if anything, the No majority should rise a little over time. If the Yes campaign is to overcome the deficit, it will need to do two things: reverse the reversion point and raise a rumpus against the Westminster establishment. It has indeed been strenuously arguing that independence is the route that will best protect the things that Scots value. Scotland’s social model, it says, is at risk from Westminster governments bent on hacking back the state. Scotland’s EU membership is at risk within the UK if Little Englanders vote to withdraw in 2017. And independence will leave the reassuring symbols of Britishness – the pound, the queen, and the BBC – untouched. The onslaught of the past week has been the No campaign’s response to this strategy: it has sought ruthlessly to cut off Alex Salmond’s ability to cast independence as a safe, secure option. The pound will go. EU membership might go. With these might also go the jobs and prosperity upon which the Scottish social model depends. The attack on the logic of independence has been brutal and effective. But the danger for the No camp is that, in shoring up the reversion point side of the equation, it will help the Scottish nationalists initiate an anti-establishment bandwagon. Indeed, Alex Salmond and others have accused the Westminster parties this past week of bully, hectoring, and dishonesty. Yet, so far at least, the No campaign is playing a clever game. By ruthlessly crushing the independence argument at this early stage, it shows understanding that heart precedes head. In the short-term, many Scots will feel bullied, and the next few polls might well show no gains for No. But the head is likely to win out over the coming months, and the Yes campaign will need a more considered response than it has found so far. To secure the heart as well as the head, the No campaign needs to go one step further. Having laid the groundwork for victory in the battle over fear, it will need, by late spring, to present a positive vision for Scotland’s future. That way, it can stifle any danger that an anti-establishment bandwagon will roll. It has widely been criticized for not presenting that vision yet, but there is good reason for delay: the vision thing is mainly about heart, not head, so it is best kept a little later. If the No campaign is truly on top of its game, we should expect the positive vision to be clear by May or June. Note: This article appeared originally on the PSA’s Insight blog and gives the views of the author, and not the position of EUROPP – European Politics and Policy, nor of the London School of Economics. Alan Renwick is an Associate Professor in the Department of Politics and International Relations at Reading University. He studies electoral reform, political leadership and teaches modern British politics and government. He tweets @alanjrenwick. I’d be interested in your view on the effect, if any, of the forthcoming Euro elections on the Independence position. Polls suggest that UKIP will do rather well outside of Scotland. Post May, mecia focus then will be on the reaction of the major parties to this change. However UKIP issues have relatively little traction in Scotland. If Alex Salmond plays the EU commissars’ game,he will go on calling referendums until he gets the desired positive result.